This month, we’re taking a look at community impact and what your donation money to Komen Charlotte is doing in our 13-county service area. 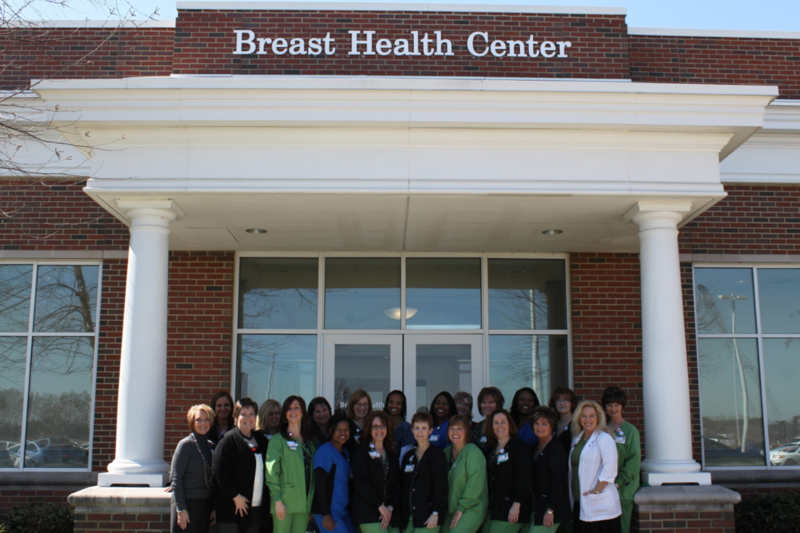 Since 2001, the Breast Health Center at Carolinas HealthCare System NorthEast has received grant funding from Komen Charlotte. Throughout the years, these dollars have been utilized to provide screening mammograms and diagnostic testing for uninsured, underinsured and underserved residents Cabarrus, Iredell, Mecklenburg, Rowan, Stanly, and Union counties. These services result in the early detection of breast cancer and ultimately, a decreased mortality rate. 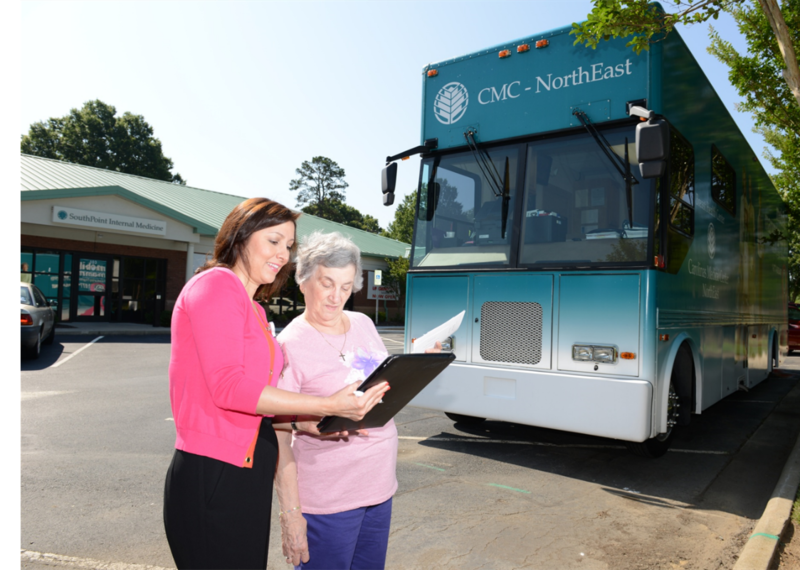 This year, the CHS NE Breast Health Center & Mobile Mammography Unit will provide an estimated 862 digital breast screening & diagnostic services to Komen eligible patients. Recently, the BHC and Mobile Unit acquired the capability of providing 3D imaging, also known as tomosynthesis. This new technology can help prevent inconclusive findings for women with dense breasts, thereby allowing them to avoid the need for further tests. Since nearly half of all women are considered to have dense breast tissue, the new 3D process should substantially decrease the number of patients who will have to experience the anxiety of a call back for further imaging. These women can also feel assured their mammogram will be more effective in detecting breast cancer. On September 6, 2016, the CHS NE Mobile Mammography Unit was visiting a church in Cabarrus County. 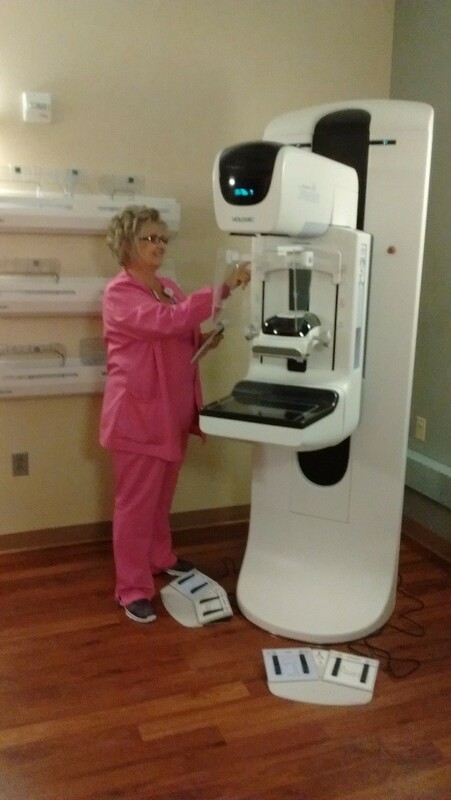 Fifty-seven-year-old “Mary” decided this was a good opportunity for her screening mammogram and reserved an appointment. What started out to be a typical day, would take her down a path like no other. Mary arrived and completed her screening mammogram with Spanish interpreting services provided by the Breast Health Outreach Coordinator. Following the mammogram, she learned she had a dense area on her breast that would require a diagnostic mammogram and an ultrasound of her right breast. Both of these tests indicated the need for a biopsy of a breast nodule. Following her biopsy, Mary’s diagnosis was confirmed two days later. She had invasive ductal carcinoma. She underwent additional testing in the form of an MRI to further evaluate her condition. After meeting with her healthcare providers, she now has a care plan for health and survivorship. Lack of financial support often can prevent women from getting screened. Without the generous support of Susan G. Komen grant funding, Mary may have chosen to forego her annual screening, which could have been a deadly mistake for her. Since early detection is the key to survival, Komen has given many women like Mary a fighting chance.